Of course, it shouldn’t come as any surprise to us that teams playing other teams that are at a similar level, lends itself to entertaining and exciting viewing. 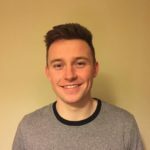 With five minutes left of league action last Sunday, Monaghan and Donegal both had a couple of their respective limbs in the division one showdown. But impressive comebacks from Mayo and Dublin altered the pairing for the head-to-head, completely. Mayo finished in 5th in the league standings, which would have surprised and disappointed many on the west coast, was it not for the fact that they only missed out on qualification for the final on score difference. The competitive nature of the league meant that we were treated to high quality, competitive matches, week in-week out. Wouldn’t it be great if we could see something like this during the summer months? Instead, we could all go into hibernation until late August and not miss a single competitive match. 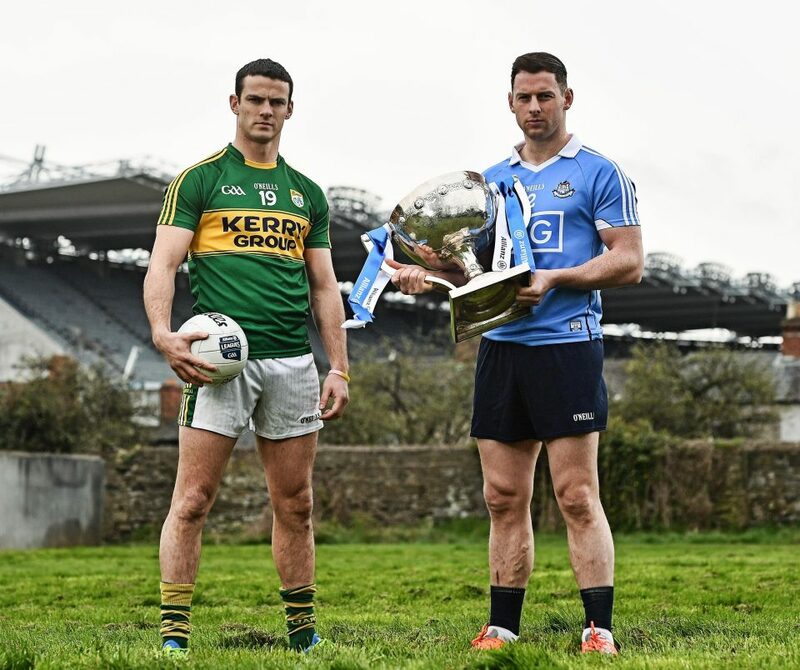 But before you set your alarm clock, Dublin and Kerry will renew their rivalry on the 40th anniversary of their first league final meeting. Kerry are also the last team to beat Dublin in a competitive match, all the way back in 2015. But who will come out on top in Sunday’s showdown? In what was an emotional week, not just for Kerry fans, but for GAA people in general, one of the greatest to ever play the game decided to call it a day. When Colm “Gooch” Cooper entered his first championship match in 2002, little did we know that the gangly, freckled faced boy would go on to become the most feared forward of his generation. Very few are afforded the opportunity to finish on a high, but the Gooch certainly did that, by leading his club Dr. Crokes to All-Ireland glory on St. Patrick’s Day. 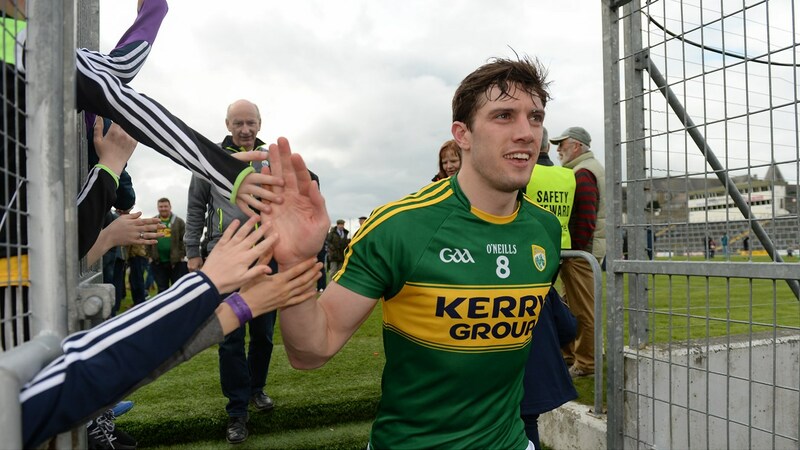 A Kerry win on Sunday would be a fitting way to say goodbye to one of their best ever. The Kingdom have had a strange league campaign. 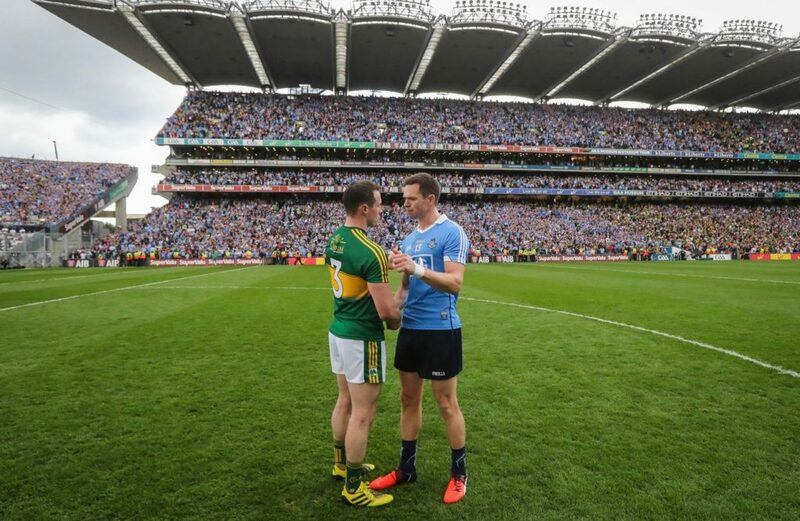 Without ever producing the performances we have come to expect from Kerry teams, they still find themselves in a surprise League Final in Croke Park, and a perfect way to gauge where they stand in relation to Dublin. 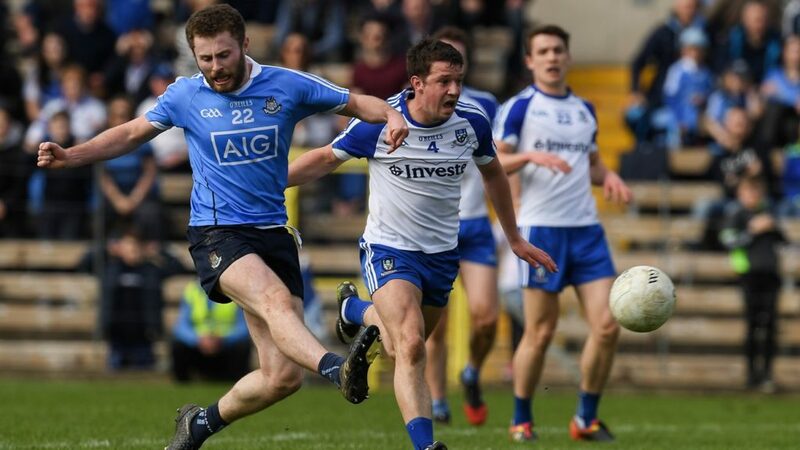 Their most impressive display of the league campaign came against the Dubs in Tralee. They were unlucky not to come away with both points as they were forced to settle for one after a close, physical encounter. But this was a league campaign that also featured poor performances like their losses at the hands of Mayo and Monaghan, as well as a draw with Cavan. Kerry manager, Eamonn Fitzmaurice is well aware that playing Dublin at Croke Park is a completely different proposition to playing them at a provincial venue. Kerry were the last team to beat Dublin, and I’m sure they would love to be the team to end Dublin’s unbeaten record. Much has been made in the media of one of the great injustices of the past fifteen years. The fact that Colm Cooper has never been awarded the All-Star Footballer of the Year, whereas Michael Darragh MacAuley scooped this honour in 2013. There aren’t too many who would attempt to argue the fact that the Gooch is a far better footballer, but in many ways MDMA, and his 2013 award, has come to signify the strength of this Dublin team. Such is the consistency and fluidity of this Dublin team, it can be very hard to pick out their best performer. Long gone are the days in which they would rely on the Brogan brothers, or anyone else for that matter. It seems that no matter who underperforms, others will stand up to ensure the Dublin cavalcade doesn’t even momentarily stall. This wasn’t a particularly smooth league campaign for Jim Gavin’s men, but they weren’t beaten. They drew three times, and came from behind to win another couple of times. But these results could well do even more to damage the chasing pack’s confidence going into big games against the Dubs. It seems that no matter how well you perform or how far you get ahead, the men from the capital will always claw you back and finish with a power no one else is capable of. Expect an altogether different clash between these two teams compared to the battle in Tralee earlier in the league. While both teams are comfortable in Croke Park, the Dubs tend to up it in front of their own large following. I expect Dublin to run out winners, but don’t be surprised if the game is still in the melting pot with 5 minutes remaining.